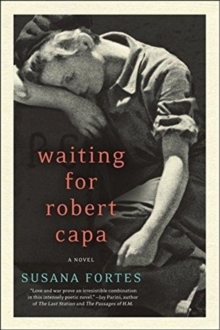 A gorgeously written, ENGLISH PATIENT-style novel about the real-life romance between the war photographers Robert Capa and Gerda Taro during the Spanish Civil War. Already optioned to be the next film by Michael Mann (PUBLIC ENEMIES, THE INSIDER, MANHUNTER, COLLATERAL). Love, war and photography marked their lives. They were young, anti-Fascist, good-looking, and nonconformist. They had everything in life, and they put everything at risk. They created their own legend and remained faithful to it until the very end... A young German woman named Gerta Pohorylle and a young Hungarian man named Endre Friedmann meet in Paris in 1935. Both Communists, Jewish, exiled, and photographers, they decide to change their names in order to sell their work more easily, and so they become Gerda Taro and Robert Capa. With these new identities, they travel to Spain and begin to document the Spanish Civil War. Two years later, tragedy will befall them - but until then, theirs is a romance for the ages. 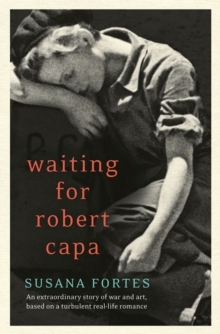 Based on the true story of these legendary figures and set to be the next film by award-winning director Michael Mann WAITING FOR ROBERT CAPA is a moving tribute to all journalists and photographers who lose their lives to show us the world's daily transformations.